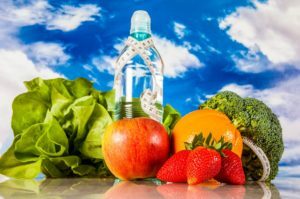 As a Certified Health Coach, I practice a holistic approach to health and wellness, which means that we will look at how all areas of your life are connected. Does stress at your job or in your relationship cause you to overeat? Does lack of sleep or low energy prevent you from exercising? As we work together, we will look at how all parts of your life affect your health as a whole. 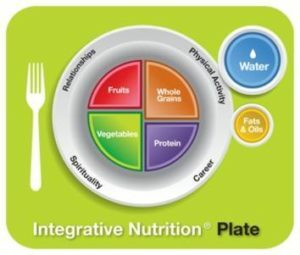 Integrative Nutrition™ Plate: The Integrative Nutrition Plate emphasizes the importance of local and organic produce, whole grains, high-quality proteins, plant-based fats, and water. It shows you how a plate should appear at mealtime and emphasizes the importance of proportions and portion size. To complete the picture, the plate is surrounded with lifestyle factors that create optimal health: relationship, career, physical activity and spirituality. I’ll introduce you to some of the healthiest foods on the planet and teach you how to find what’s healthiest for your unique body.